James Spencer “Jim” Courier, Jr. (born August 17, 1970) is a former World No. 1 professional tennis player from the United States. 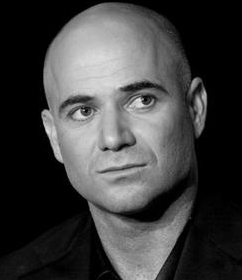 During his career, he won four Grand Slam singles titles, two at the French Open and two at the Australian Open. He holds the record for being the youngest man to have reached the finals of all four Grand Slam singles tournaments, at the age of 22 years and 11 months. He also won five Masters 1000 series titles. Courier is known for having an extensive knowledge of tennis rackets and strings. As of 2013, Courier is the last man to win the Australian Open and French Open back-to-back, in 1992. Courier was raised in Dade City, Florida and though he excelled at youth sports in general, after a certain point it became clear that tennis was where his true talent lay. As a junior player in the 1980s, Courier attended the Nick Bollettieri Tennis Academy and won the prestigious Orange Bowl in 1986 and 1987 (the first to win back-to-back titles since Björn Borg), as well as the French Open junior doubles title in 1987. Courier turned professional in 1988 and made his Grand Slam breakthrough at the 1991 French Open when he defeated Stefan Edberg and Michael Stich to reach his first Grand Slam final. In the final, he defeated his former Bollettieri Academy roommate Andre Agassi in five sets to win his first Slam. He made the quarterfinals of Wimbledon before losing to eventual champion Stich. At the US Open, he defeated defending champion Pete Sampras in the quarterfinals and then Jimmy Connors in the semifinals before losing the final to Edberg. 1992 saw Courier defeat Edberg to win the Australian Open; he then followed this result by defeating future Grand Slam champions Thomas Muster, Goran Ivanišević, Agassi and Petr Korda to successfully defend his French Open title. Afterward, Courier charmed the Parisian crowd by delivering a victory speech in French. Courier also enjoyed a 25-match winning streak during the season. In February of that year, he became the tenth player to reach the world no. 1 ranking since the ranking system was implemented in 1973, and first American since John McEnroe; he finished 1992 as the world no. 1 ranked player. Courier also was a member of the US team that won the 1992 Davis Cup. In 1992, Courier was the top seeded player at the Olympics in Barcelona where he lost in the third round to eventual gold medalist Marc Rosset from Switzerland. In 1993, Courier again won the Australian Open, defeating Edberg in the final for the second consecutive year. He reached his third consecutive French Open final, which he lost to Sergi Bruguera in five sets. He also reached the 1993 Wimbledon final, defeating Edberg in the semifinals, and lost to Sampras in four sets. By reaching the Wimbledon final, Courier had reached the finals of all four Grand Slams at the age of 22, a record which still stands. Courier also became the first player since Rod Laver to reach the finals of the Australian, French and Wimbledon in the same season; the feat was not matched until 2006 by Roger Federer. Courier again was part of the US team that won the 1995 Davis Cup. Courier captured a total of 23 singles titles and 6 doubles titles during his career. He spent a total of 58 weeks ranked as the World No. 1 in 1992 and 1993. He reached the finals of all four major championships during his career, a feat accomplished by only seven other players in the Open Era. Courier retired from the ATP tour in 2000. He was inducted into the International Tennis Hall of Fame in 2005. 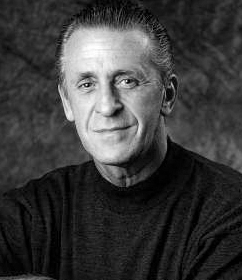 Since his retirement as a top-level player, Courier has served as a tennis analyst and commentator for the USA Network, NBC Sports, TNT, ITV and the Seven Network. Since 2005 Courier has headed the commentary for the host broadcaster of the Australian Open, The Seven Network. Courier calls all centre court men’s singles matches for the network. He also conducts the post match on-court interviews with the winning player. Courier started working with the British channel ITV for the French Open in 2012. The Jim Courier Club House now stands on the grounds of the Dade City Little League complex in John S. Burks Memorial Park in Dade City, Florida. Courier is an alumnus of that Little League program. In 2004, Courier founded InsideOut Sport & Entertainment, a New York-based event production company that owns and operates the Champions Series, Legendary Nights exhibitions as well as private corporate events. He also founded Courier’s Kids, a non-profit organization that supports tennis programs in the inner city of St. Petersburg, Florida. Courier currently competes on the Champions Series and in various charity exhibition matches. 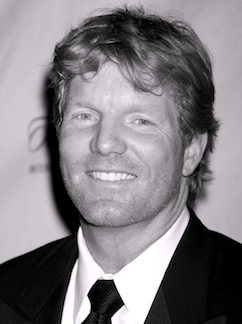 Jim Courier married Susanna Lingman in 2010. On October 27, 2010, Courier was named captain of the United States Davis Cup team, replacing Patrick McEnroe.